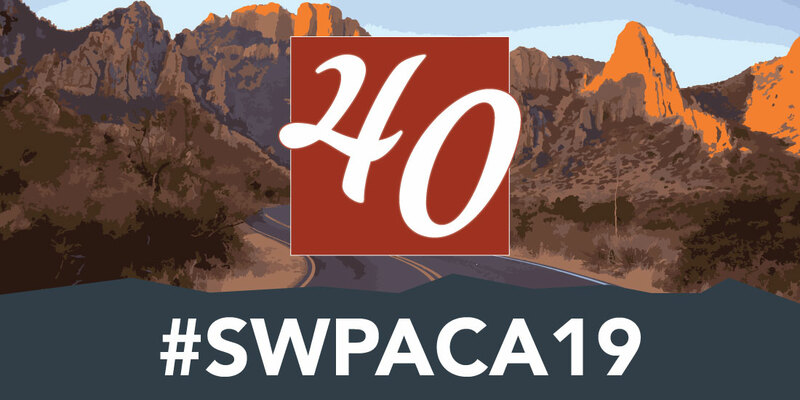 Thanks for being part of the Southwest Popular/American Culture Association (SWPACA) Community! Our mission is to promote an innovative and nontraditional academic movement in the humanities and social sciences celebrating America’s cultural heritages, and to increase awareness and improve public perceptions of America’s cultural traditions and diverse populations. We work towards this mission by providing a professional network for scholars, writers, and others interested in popular/American culture. Additionally, the SWPACA has a long-standing commitment to supporting the development of new and young academic professionals in the fields of popular and/or American cultural studies through conference travel grants, paper awards, and professional development opportunities. To further this mission at our annual conference, we expect all attendees to maintain an atmosphere that is conducive to academic inquiry and growth and which provides a safe, respectful, and enjoyable experience for all. By participating in the SWPACA conference and any related activities, you agree that you have read and agree to abide by the SWPACA Code of Conduct, as outlined below. We expect conference participants and attendees to treat everyone with courtesy and respect. This includes giving presenters your full attention while they are speaking and attending panels in full rather moving between panels. If one must leave a room, please do so quietly and in-between speakers. We encourage spirited debate about popular culture issues, pedagogy, theory and the like, but we will not permit personal attacks on any attendees, presenters, or exhibitors. collect, share, or otherwise use personal or identifying information about another person without that person’s explicit consent. plagiarize or misrepresent the works of others. Any attendee who witnesses or experiences a violation of this code is advised to undertake the following steps, within her/his comfort level and with a priority to safety. If another person’s behavior is making you uncomfortable, ask them to modify that behavior, if you feel safe doing so. Calmly ask them to move back, lower their speaking volume, no longer speak to you, etc. Leave the interaction, if you can. If not, ask others in the vicinity to join you. Call 911 if you feel your or another person’s safety is in immediate danger or emergency services are otherwise required. Report any violations of the code of conduct to a member of the SWPACA Executive Team (Director, Treasurer, Area Development Coordinator). Seek out your Area Chair or go to the Registration desk to locate a member of the Executive Team. The SWPACA does not comprehensively monitor the various interactions of the conference for inappropriate behavior. However, in the event that any violations of this Code are brought to the leadership team’s attention, the SWPACA will investigate and issue a warning if appropriate. If the violation is egregious enough or repeated, the SWPACA reserves the right to suspend or terminate access to the conference and association meetings with no refund. Determination of violation will be at the discretion of the SWPACA Executive Director or her/his designees. The SWPACA also reserves the right to update this Code of Conduct at any time. Questions about this Code of Conduct should be directed to the association’s leadership team through the contact information on the association website.